When you think of buying a sports coat, it may be out of necessity or to protect yourself from the sharp cold waves and stay warm or maybe to complement one of your outfits. Your requirement may be strong or may be soft and pretty. Whatever, maybe your reason for purchasing, a leather sports coat is the answer to all your needs. Leather sports coat are the cool and the ultimate fashion statement for the latest trends. To get noticed and create a strong impact on others, sporting a leather sports coat can do wonders. In a leather sports coat you can look tough, rugged or just casual and dressy and make a strong statement in the fashion arena. The leathers blend well with every kind of outfits from jeans to slacks to any kind of accessories and shirts. 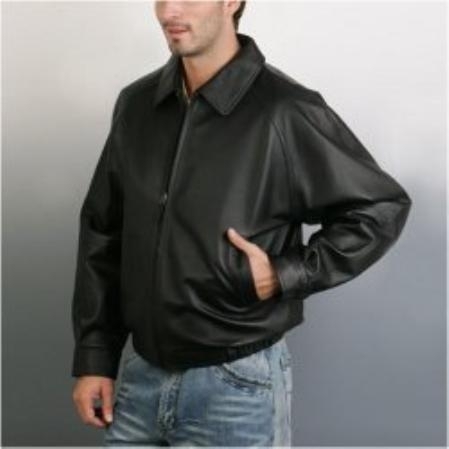 The Leather sports coats are inexpensive and value of a leather outfit is timeless. It will be an asset in your wardrobe. When you buy a leather sports coat may be at a high price, your money is never a waste provided you select the right colors, patterns, texture and of course the size. The leather sports coats usually last forever and gets better with time. The look of the old leather sports coat gets better and once bought becomes your asset. The leather sport coats give you protection from the cold weather. Leather coats are the best for the motorcyclists to avoid road rash. Any other clothing can tear easily while hitting on the pavement but the leather is tough and keep you protected. Taking care of leather sports coats is the easiest as you just have to wipe it with a damp cloth or you can wax them to maintain the shine or leave them as it is to maintain the rugged look. These sports coats are extremely comfortable and the more you wear them it understands your body features better and give you more comfort. The leather sport coats remain versatile for years and never go out of fashion. With every New Year the sports coats are becoming trendy but they are never out of fashion. You can wear your oldest leather sports coat and make a new fashion statement for yourself. The leather sports coat are mostly for casual evening outs or you can flaunt one in your date but if there are no rules of wearing a suit in your office, you can even pair up a sports coat with a formal slacks and crisp shirt and get the much desired look for your office. The sports coats have ruled the fashion arena for years. If you want to get a look that showcases your attitude with rough and tough look with the comfort unlimited, leather is the ultimate solution. Men's wardrobe is incomplete without a leather sports coat. However expensive or inexpensive the leather sports coats are, you can always buy one if your entire requirement like pattern, texture, size matches as the leather sports coats are priceless and will always remain so. The leather sports coats can make you look best and stand out in the crowd. There are different colors available, you can select from the vast range to suit your comfort and taste.